It is Hajari’s aim in Midnight’s Furies to explain how the politics of Partition led to a catastrophe beyond what the leaders on either side had intended. It’s a muggy June evening, not unlike pre-monsoon weather. South Asians, both young and old, and others from Washington DC’s international milieu, are greeted by a statue of a donkey, the symbol for the American Democratic Party, as they enter the National Women’s Democratic Club for a screening of The Sky Below — a travelogue of the subcontinent’s Partition. The documentary shows film-maker Sarah Singh’s roadside portraits of border regions in Pakistan and India. Similarities in the landscape, ruins of former civilisations and the rhythm of local life is captured in a way that makes scenes shot in India difficult to discern from those shot in Pakistan. But as Singh pauses to interview members of the generation that endured the Partition, the reality of this division begins to weigh heavily. The documentary shows film-maker Sarah Singh’s roadside portraits of border regions in Pakistan and India. 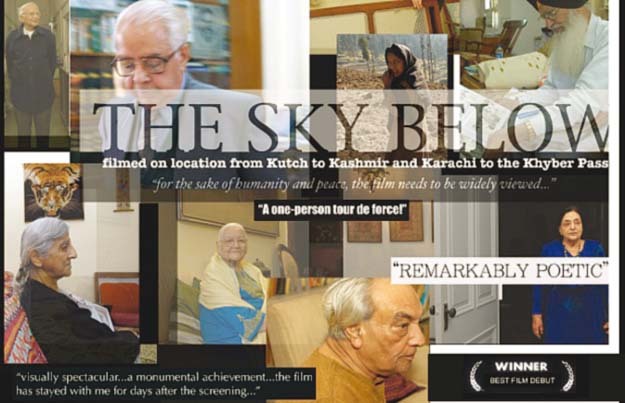 The Sky Below was first screened at international film festivals eight years ago to acclaim and awards. In 2015, it still doesn’t seem to have lost its relevance. The audience at the National Women’s Democratic Club responded with a heartfelt resonance to the oral histories of loss and pain. One person remarked the film proved the dream of long-lost unity is still alive. Another added the traditional music in the film made her feel as if she was back home. 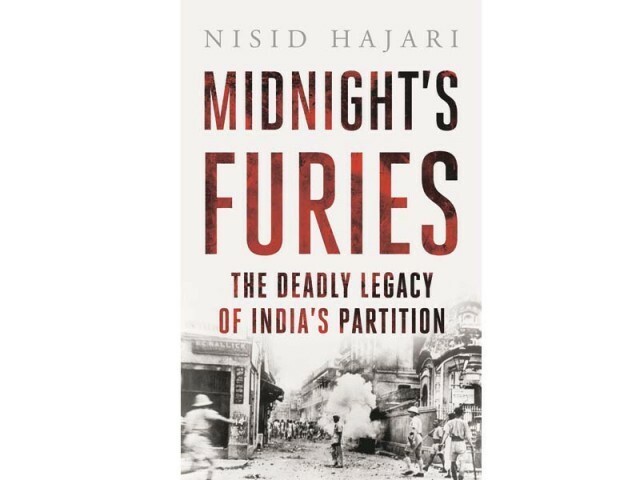 Two weeks later, again in Washington DC, Carnegie Endowment for International Peace hosted an event for Nisid Hajari’s new book on the history of Partition, Midnight’s Furies. “What are the chances of reconciliation?” and “How can tension between India and Pakistan de-escalate?” were some of the questions that arose in the minds of the audience. In their attempt to tell a story about Partition which includes Pakistani and Indian perspectives, both The Sky Below and Midnight’s Furies are a part of what William Dalrymple described in The New Yorker in June as “a spate of new work that has challenged seventy years of nationalist mythmaking.” The myths Dalrymple refers to are the populist histories of Partition in both India and Pakistan that place the blame on the other side for instigating religious transgressions to the point where separation became a necessity. In Midnight’s Furies, Nisid Hajari strived to counter this cycle of blame with a balanced approach, “I felt like there was a need for something that tried to tie it all together and had what was best and most accurate in both narratives,” he tells The Express Tribune. While working on their pieces, both Singh and Hajari received questions like, “Hasn’t this been done already?” It’s true that many writers have scrutinised Partition from all sorts of angles. Works of fiction such as Train to Pakistan are internationally renowned. Much scholarship has been undertaken on the political history and violence of Partition. But ongoing flare-ups in relations between Pakistan and India demonstrate that despite the number of times this subject has ‘been covered’, the consequences of Partition still carry urgency. All it takes is a provocative public gesture to feed into the prevailing narrative that the two countries are natural enemies. 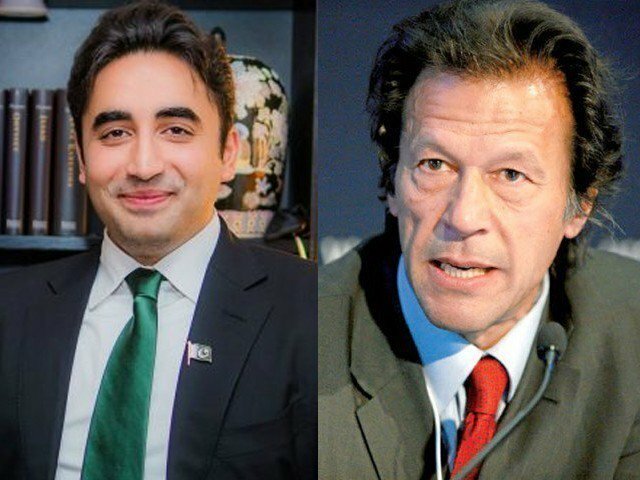 Indian Prime Minister Narendra Modi’s recent proposal to celebrate the 40th anniversary of the 1965 Indo-Pak War and an exchange of hostile rhetoric between him and Pakistani officials regarding Myanmar attest to that. 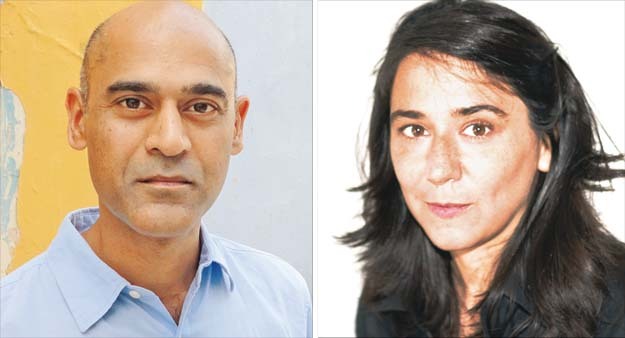 Author of Midnight’s Furies, Nisid Hajari, Director of The Sky Below, Sarah Singh. South Asians are also still grappling with the human cost of Partition. In a matter of months, an estimated two million people were killed and tens of thousands of women were abducted and raped. While this is not outright denied in mainstream histories, official stances have been criticised for an insufficient acknowledgment of the violence. It is Hajari’s aim in Midnight’s Furies to explain how the politics of Partition led to a catastrophe beyond what the leaders on either side had intended. He initially conceived Midnight’s Furies to inform a Western audience, who see Partition as largely marginal to world history. Using diplomatic correspondences that were never before incorporated into a history of Partition, Hajari unravelled the negotiations between the Indian National Congress, the Muslim League and the British Empire with a focus on the relationship between Nehru and Jinnah. Close attention was paid to the differences in their personalities that made them prone to clash in their political positions. Hajari thinks that even-handed, honest portrayals of history are needed for Pakistan and India to ease a very tense relationship. “I would hope that’s what the Indians and Pakistanis can do . . . recognise the mistakes that were made on both sides, see the very human reasons why those mistakes were made but then concentrate on their mutual future,” he says. Taking a different angle to the story of Partition, The Sky Below is concerned with the memory of those who experienced it and how it continues to shape identity. The film uncovers feelings common to both Indians and Pakistanis who still remember a time when a syncretic Hindu-Muslim culture was the norm. Terrifying stories of the violence of Partition are told alongside inspiring ones of different religious groups sheltering each other from harm. Singh, who was born in India but lived most of her life in the United States, went to Pakistan in 2006 to start filming. Although it was her first time in the country, seeing long stretches of Punjabi flatland, exploring the Hindu Temple at Katas Raj and visiting Peshawar all felt very familiar to her. The attachment one can have to a place regardless of nationality was therefore one of the prominent themes of her documentary. Sindhi Hindus now living on the other side of the border in Kutch, for example, express a feeling of statelessness in the film. When they were forced to flee their home, they still felt a greater allegiance to their Sindhi heritage than to India despite it being a Hindu country. To Singh, highly fractured identities were more pronounced in the areas where she was filming. “You always have this undercurrent of a very vulnerable, fragile existence. Especially for those who live in the border areas, it’s in the background of your day to day life,” she says. At screenings of the film on either side of the border, she was amazed to find the reactions of students on both sides were the same: they were grateful to see a perspective of history they hadn’t been told and became more interested in visiting the other side. “It helped them understand what was going on in their area well outside what’s allowed in history books and what is even discussed in class, to the point where they were crying,” says Singh. As porous as some may wish the India-Pakistan border to be, it’s not going away anytime soon. But works such as The Sky Below and Midnight’s Furies are giving Partition a newfound importance in world history as a starting point for conversations that include perspectives from all sides and look at a cooperative future rather than assign blame. Shehryar Nabi is a freelance writer. Published in The Express Tribune, Sunday Magazine, July 19th, 2015.